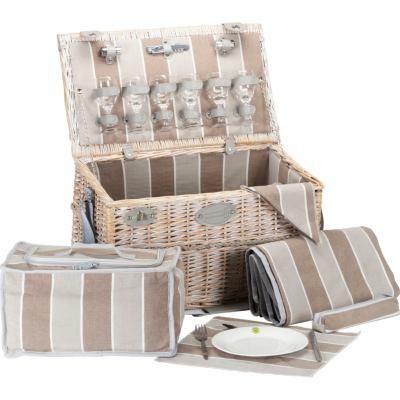 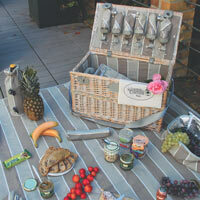 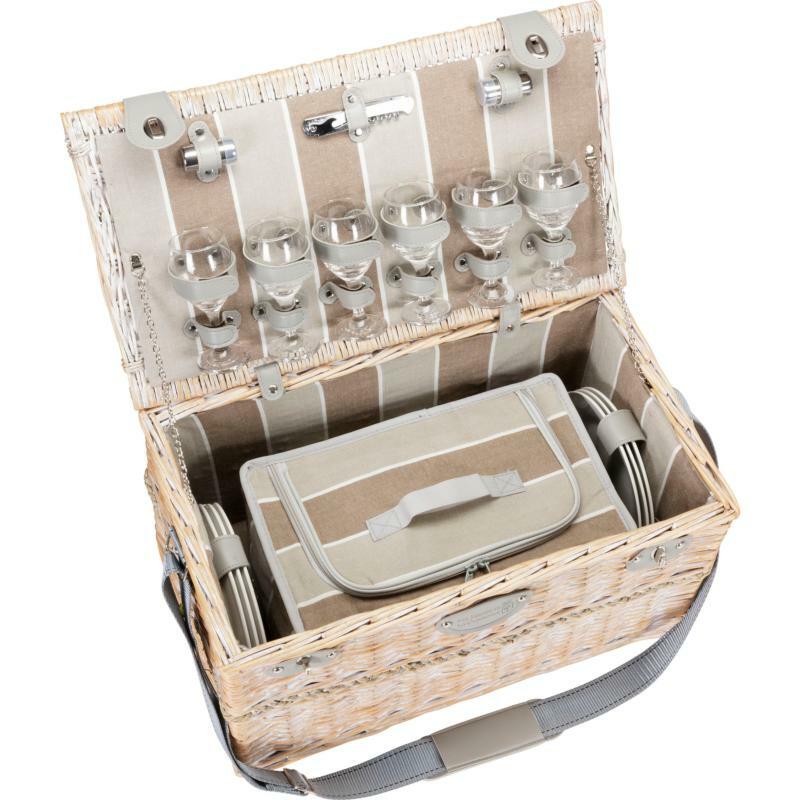 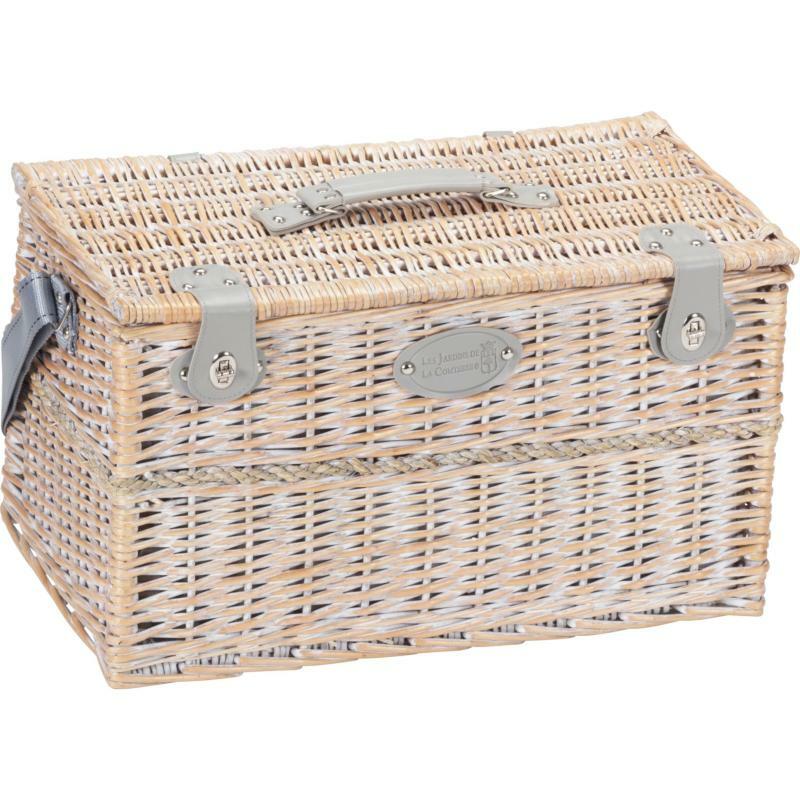 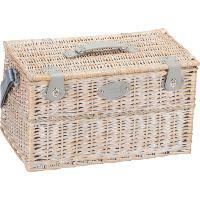 An elegant, complete hamper with beige cloth interior and grey straps. 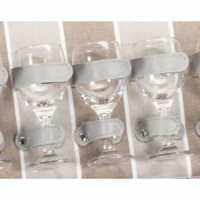 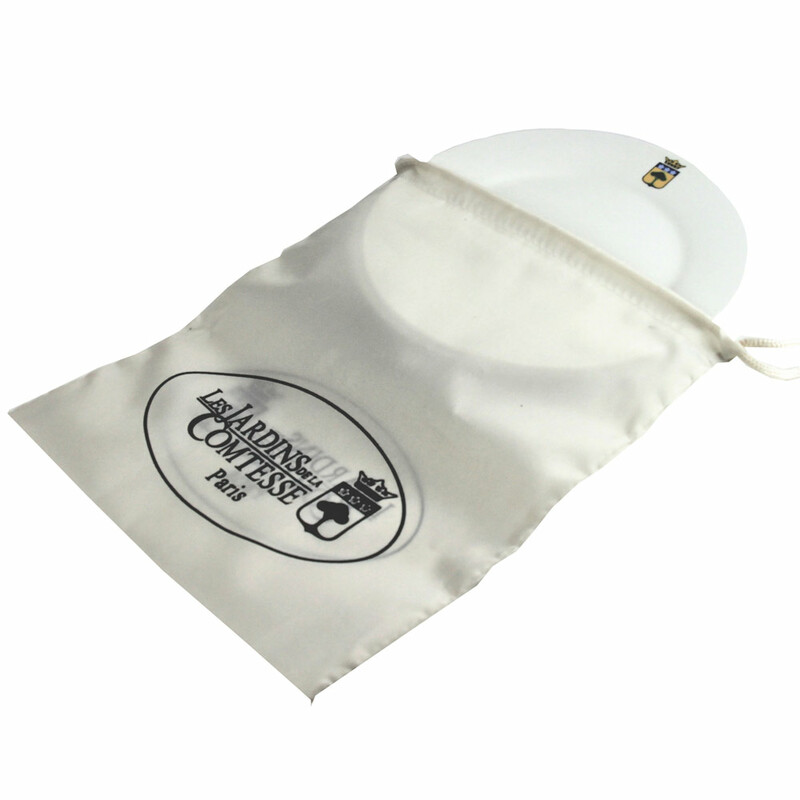 You can carry it easily with the centrally located handle, or carry it over the shoulder using the shoulder strap. 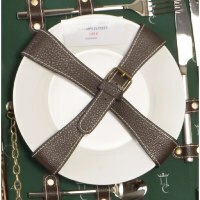 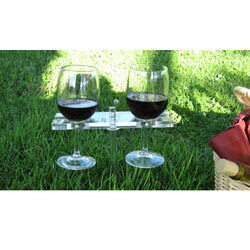 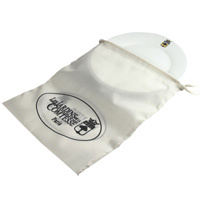 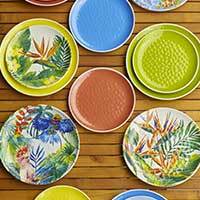 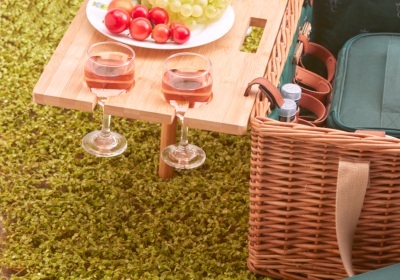 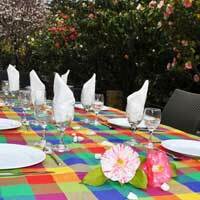 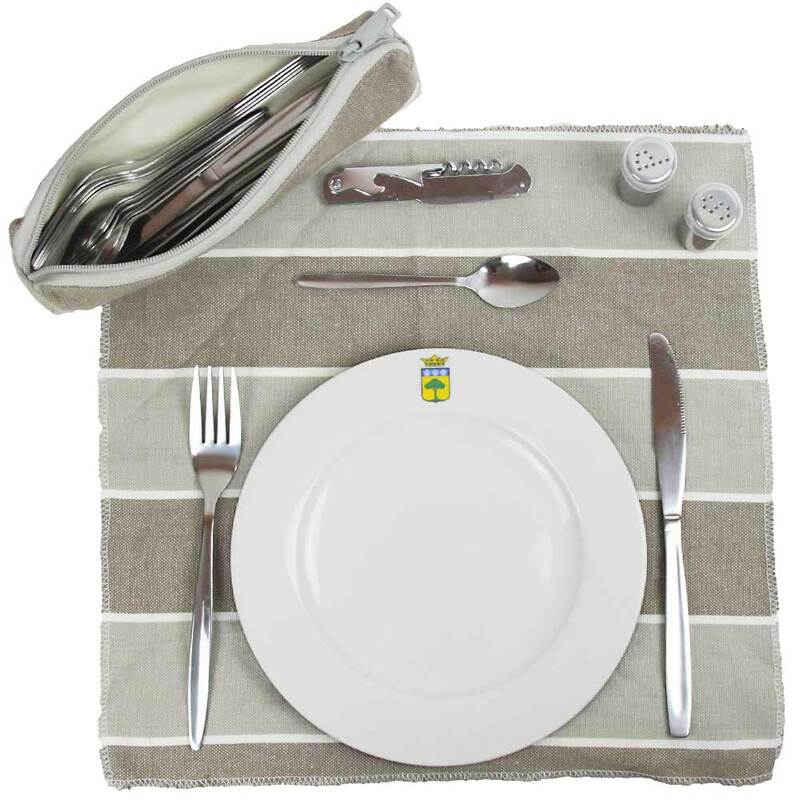 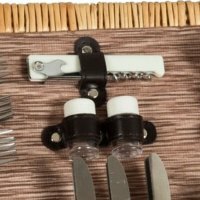 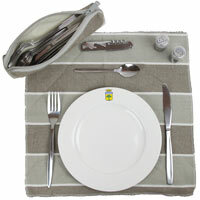 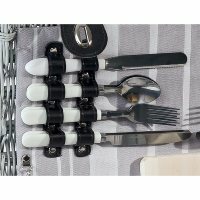 It comes with a picnic blanket made of the same material with waterproof backing.